You already have a webshop but you’re not satisfied with its functionalities? 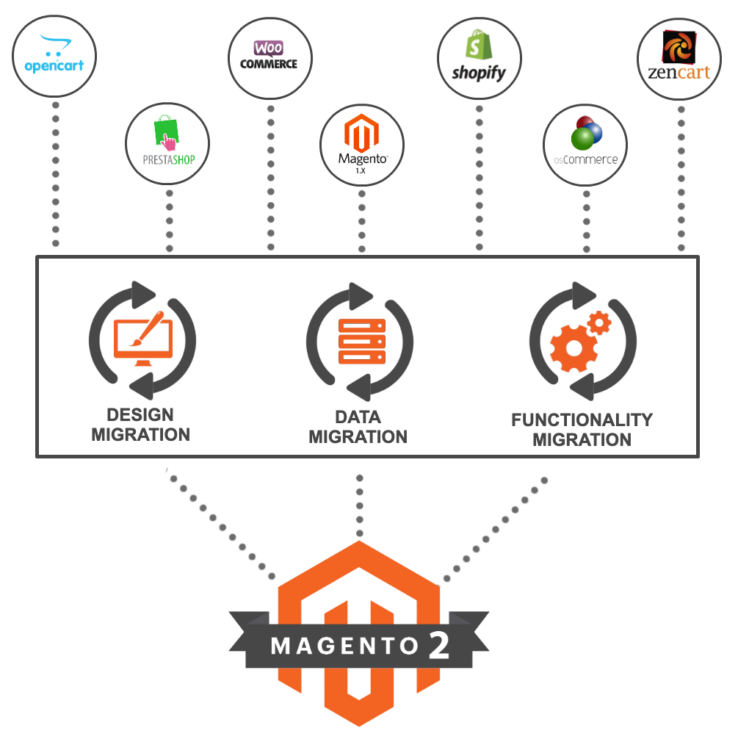 Migrate now to Magento 2! We provide migration services for the following E-commerce CMS platforms: PrestaShop, OpenCart, WooCommerce, Shopify, BigCommerce, Etsy, Jigoshop, Ubercart, Drupal, osCommerce, VirtueMart, Wix, ZenCart.